(regional surcharges may apply). Delivery time and tracking via email/text, signature required. International delivery available to some regions. 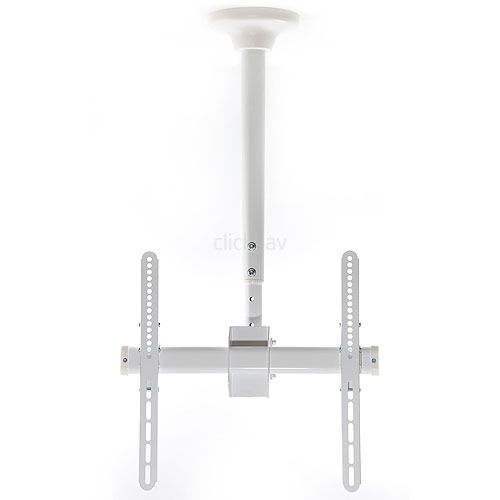 This heavy duty TV ceiling mount is specially finished in white to match most ceilings. 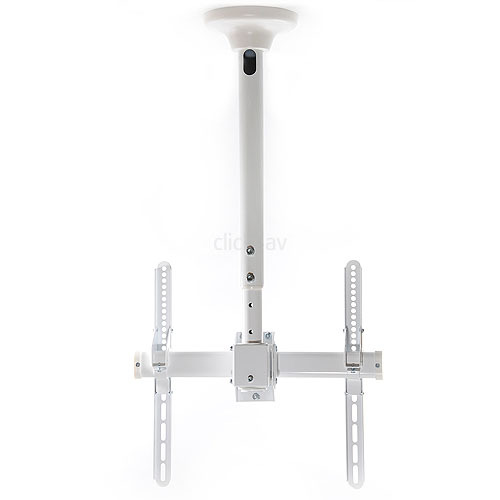 It has an adjustable length pole, making it perfect for flat panel television and commercial CCTV monitor installations. 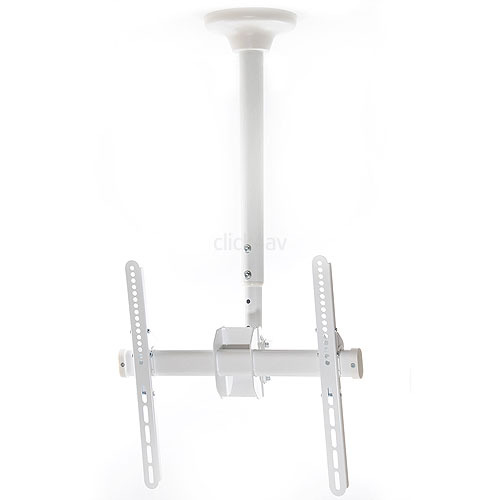 It fits many 39 to 55 inch LCD and LED TV's up to 50kg. It offers 360 degrees swivel and 25 degrees tilt down. The heavy steel pole is adjustable in length from 56cm to 91cm. Cables may be threaded through the centre of the pole (internal diameter 40mm). 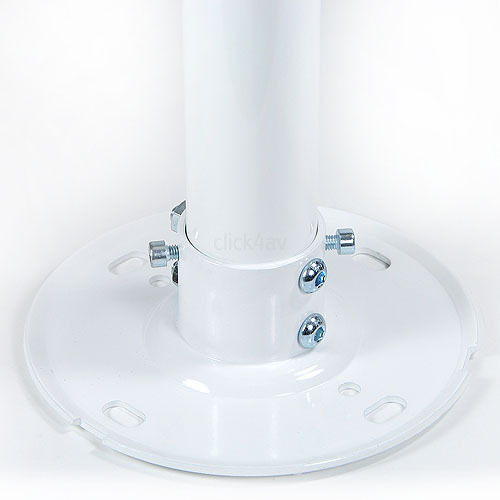 Once the pole is fixed to the ceiling, the rest of the assembly simply slots on and locks into place, making for a simple installation. 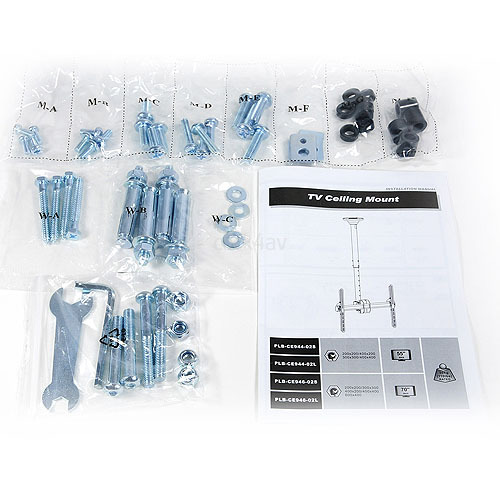 Supplied with heavy duty ceiling fixing kit plus M4, M5, M6 and M8 fixing bolts to attach your TV. Item code: PLBCE94402SW. Please measure the spacing of the four mounting points on the back of your TV before ordering. The hole centres should be spaced no greater than 405mm from left to right and 405mm from top to bottom.